With e2source you have all the tools you need to update your website yourself, however, for those requiring an extra hand to do monthly website updates, add the maintenance package to your website to save money over our regular maintenance charges**. 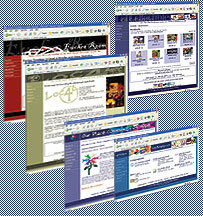 Each package includes up to one hour per month of maintenance to your website. Need more than 1 hour? ** Without the maintenance package (or for additional maintenance) maintenance fees are billed at CDN$55/hr. Maintenance fees are subject to change without notice.